When Bruce Dickinson released his first solo album (“Tattooed Millionaire”) back in 1990, many of IRON MAIDEN’s fans had to deal with a strong deception, for the album’s main way was far different from what they were thinking it would be. This is a fine example to explain for the Metal fans that a solo album from a known musician doesn’t have to fit in his work with his principal band. And on the work from Johnny Gioeli, you can be sure that is far from what the fans of Axel Rudi Pell’s band (where he is the main singer) expect. But besides this fact, his solo album called “One Voice” is amazing. The music here is in the same vein of AOR/Hard Glam bands as JOURNEY, FOREIGNER and others in this way. Even being more guitars orientated that those names (where keyboards are the main musical instrument), the charming melodies and catchy chorus are an inheritance of the 80’s, with that excellent and positive energy. Obviously the instrumental session of the band is great as well, but never exaggerating on the technical approach. So the fans will love it, and all those who are into AOR must look for it now! Alessandro Del Vecchio made the album’s production, creating a mix between the modern and clean sound quality with the old features from Hard/AOR. It’s great and not being “outdated”, with everything sounding in the way they must be, clean, loud and with that essential “nasty” touch that Rock ‘n’ Roll bands from the entire genre must bear. “Drive” with its charming energy and excellent guitars and keyboards parts; the tender power ballad “One Voice” (that will remember some moments from old and good BON JOVI’s days, especially the chorus); the 80’s-like melodies of “Mind Melt” (a solid and good rhythmic work from bass guitar and drums, indeed); the soft Rock of “Running”; the wild and tender approach of “Let Me Know”; and the modern and silk aggressiveness of “Hit Me Once, Hit Ya Twice” can be named as the most charming moments of the album. 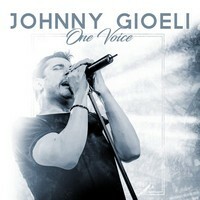 “One Voice” is a very good album, so listen it out loud and have a good time!